BBC Worldwide (BBCWW) has sold its adaptation of Leo Tolstoy’s War and Peace to a slew of channels around the world, including a Russian free-to-air network. Russia’s Channel One has picked up the six-part adaptation, which was produced by BBC Wales Drama in partnership with The Weinstein Company, Lookout Point and BBCWW. The show, adapted by scriptwriter Andrew Davies (House of Cards, Pride and Prejudice), has also been sold to France2, Finland’s YLE, NRK in Norway, RUV in Iceland, Latvia’s LTV and TRBC in Ukraine. Elsewhere, LeEco in China, Elta in Taiwan, Vuclip in India as well as KBS and SK in South Korea have all acquired the series, as has ABC and CBN in the Philippines. 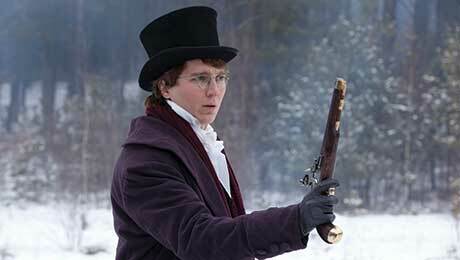 War and Peace is on the sales slate for BBCWW’s market Showcase later this month, which attracts more than 700 buyers.